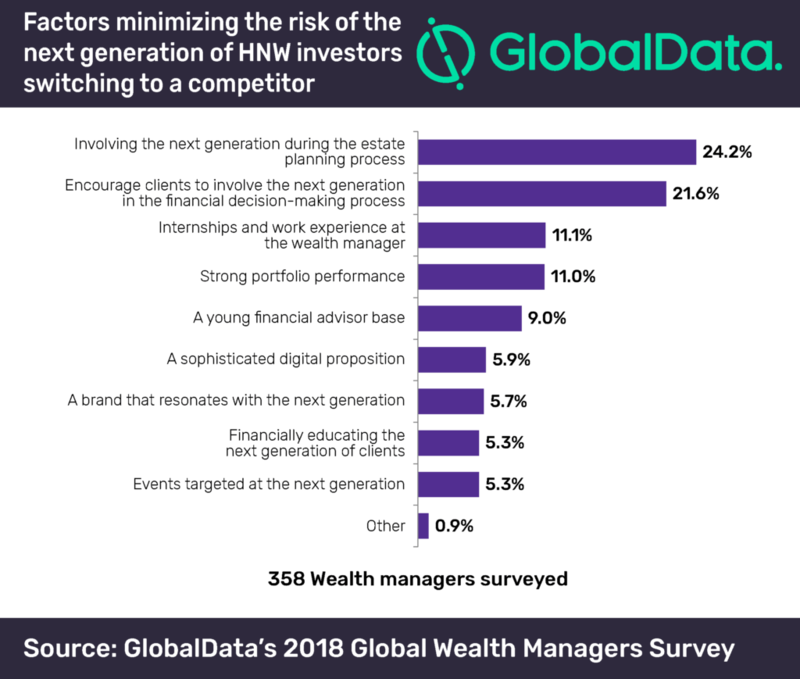 After inheriting, 28.3% of HNW clients’ children discontinue the relationship with their parents’ wealth manager, according to GlobalData, a leading data and analytics company. The company’s report: ‘2019: Trends to Watch in Global Wealth Management’ states that 38% of the global HNW population is above the age of 60, which equates to 4.3 million individuals. This means wealth managers need to have a strategy in place to appeal to the next generation of investors. Results from GlobalData’s 2018 Global Wealth Managers Survey reveal that involving the next generation during the estate planning process is the single most effective retention tool. However, only 59% of wealth managers across the globe offer inheritance planning services directly.